When considering a seven-passenger midsize SUV for you and your family, it's definitely worth it to consider what the 2018 Dodge Journey can provide. 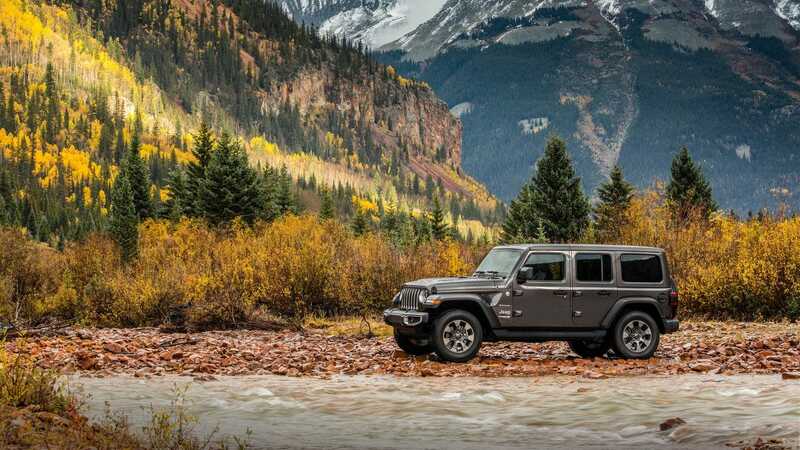 It's appealing in power, capabilities, and budget-friendly price bracket, able to supply the comfort and performance that suits daily driving and even some light off-roading for more adventurous weekends. For 2018, the Journey trim levels are simplified down to four to provide a greater array of features in a smaller model series, and all Journeys now come with a standard third-row seat. What kind of power is offered in the Journey? The 2018 Dodge Journey provides ample power to get through your day to day activities, and even some more adventurous ones! The standard engine built into the SE, SXT, and Crossroad is the 2.4-liter inline four-cylinder, generating 173 horsepower and 166 lb-ft of torque. This engine is capable of an EPA rated 19/25 mpg, and comes configured for front-wheel drive with an automatic four-speed transmission. If you need something a little more specialized, Dodge has you covered! Available throughout all trims and standard within the GT and all AWD configured vehicles, the 3.6-liter V6 provides 283 horsepower and 260 lb-ft of torque. This engine supplies either 17/25 mpg when front-wheel drive and 16/24 mpg when all-wheel drive. The transmission with this engine also gets upgraded to a six-speed automatic transmission. Tell me about the 2018 Journey features! Every Dodge Journey now comes equipped with a standard third-row 50/50 reclining seat to increase passenger count to seven! The cabin maintains its spacious comfort, easily handling seven adults throughout the vehicle. The second row enhances its ergonomics thanks to its tilt and slide build. To maintain a similar storage capacity, in-floor bins have been added at the second-row for convenience and organization. 67.6 cubic-feet is available with the two rear rows folded down, perfect for all your groceries, supplies, or equipment. Otherwise, 10.7 cubic-feet are available within the trunk with all rows up. One of its best features is the standard media center in either a 4.3-, or 8.4-inch touchscreen built standard with audio jack, remote USB port, Uconnect, and optional Bluetooth and satellite radio. Other features include keyless entry, push button start, six-speaker audio system, and telescoping/tilting steering wheel with audio and Bluetooth control buttons. What safety systems are offered within the Dodge Journey? While out on the road, Dodge keeps you and your passengers comfortable with peace of mind thanks to its amazing safety standards. A variety of active systems ensure your vehicle keeps driving stable and straight where you direct it to go, such as electronic traction control, electronic roll mitigation, traction control, brake assist, and a new suspension. Tending to towing, the trailer sway damping provides 1,000 pounds of towing capacity with the four-cylinder and couples with the V6's hitch and four-pin wiring connector to tow up to 2,500 pounds. The Journey has available Driver Convenience features to enhance your safety on the road. Optional to add on are rear parking sensors, and dynamic reverse camera guidelines. In the event of an accident, seven airbags, specialized frame crumple zones, and the specially engineered frame designed to redistribute crash forces around and away from the cabin space all work to protect you and your passengers. The 2018 Dodge Journey is your next adventure SUV, designed to pack in all you'll need with the fuel economy to go 500 miles before needing fueling up. The whole family fits better and more comfortable than ever with the standard third-row, and the four trims of the Journey now pack better available features at a more accessible price. Check out our latest inventory to see what we have available, and feel free to call up or stop by to schedule a test drive!